Another very wet and chilly day. Nothing like temps in the low 30’s and liquid falling from the sky. 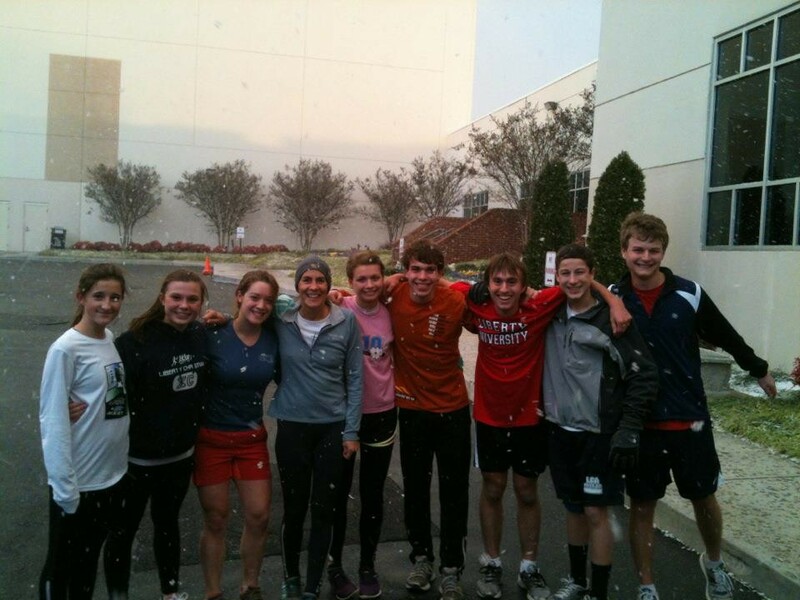 But running with my distance kids made it an adventure and quite pleasant. I warned my team that this week was all about mileage and base. With no meet this weekend and after building to this point, they were ready to run more miles than they consider “normal.” Several groups formed and we hit the woods. The majority of the kids put in 8-10 miles; Trey ran 13. What a wonderful way to spend an unseasonably warm day on those trails. The bad? I just didn’t have it today. It seemed so hard. The ugly? The back of my knee started hurting again. Just received professional opinion from a friend who is a PT: Hamstring insertion issue with scar tissue. Sounds reasonable, I guess. It was unbelievable to have another January day with temps in the 60s; a perfect day for a run in the woods with my team to finish out a week with more mileage than they are accustomed.. It was a combination of quick-paced downhills on gravel roads, meandering steps on single track, and sustained uphill runs. Even with a gusty wind, it was a great Friday afternoon. Well, I considered a 20-mile run. But when I saw a floor needing vacuumed, a pond pump crying out for attention, and a sidewalk that had gone way too long from its last encounter with an edger, I got distracted. 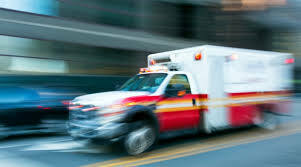 Then, we got a call that Gary’s dad had been taken emergently to the hospital again. We had to wait to hear if we needed to speed to his side. After that, one of our sons and friends came to shot clay birds. It sounded like a war zone around here. What did this do to my run? Reduce me to a lousy four miles. It was not only meager miles but I felt horrible. No pep. No energy. So, perhaps it’s just as well. Church. Clean-up duty after church-wide lunch. Get home. Butcher and process three deer. Clean up the mess. Put pizza in the oven. Grab a headlight and reflective vest. Run into a cold, starry night. Run back. Feel glorious and revived. Eat pizza. That’s my story and I’m stick’n to it. They call it a sun pillar and it was spectacular, magnificent, even. Only a blind person would not have noticed. Heading west along 460 toward my home, there it was in all it's fleeting glory. I couldn't remember seeing anything like this before. I temporarily lost sight of it when I turned off the highway but stopped at the edge of my drive to soak it in as it rose from the horizon, sandwiched by a row of trees. The view was perfect. The light streaming upward seemed to be reaching into the outskirts of heaven. It was as though the jeweled beam was pointing the way to the very heart of God. Later that evening I found out that "a sun pillar is a vertical shaft of light extending upward or downward from the sun. Typically seen during sunrise or sunset, sun pillars form when sunlight reflects off the surfaces of falling ice crystals associated with thin, high-level clouds (like cirrostratus clouds). The hexagonal plate-like ice crystals fall with a horizontal orientation, gently rocking from side to side as they fall. For me, experiencing the sun pillar was better than any rainbow. It turned my eyes to the sky and my heart toward God. I cried out to him. Could I trust him with those I love? Could he, would he, draw them to himself? Is his grace so irresistible that they can deny him only so long? I glimpsed something of God's power and might. I viscerally felt his love, care, and compassion. I was reminded that I can believe. I can trust. Thank you, Father. A funny thing happened on the way to. . .
1) practice. The kids showed up at 10 am (no school). Too bad no one told me the head coach changed practice from the afternoon to the morning. Oops. 2) my daily miles. It went from having great feeling legs despite the 17 miles yesterday to wishing I hadn’t eaten a peach/pineapple salsa for a late pizza to an emergency pit stop between a hay bale and a spreading cedar tree. I thought I was hidden. Guess not. A neighbor’s car screeched to a halt to get a better look. Double opps and so embarrassing. It was one of those days when I had to act like a coach instead of run the majority of the workout. I managed the 12-station, 45 sec each circuit training and the mile warm-up. But when they took the track for either a 1600, 800, 1600, 800 or a descending ladder of 2000, 1600, 1200, and 800 at a hard pace, I took to the stop watch. They felt accomplished. I felt like a wus. My son Seth and friend KT came for dinner and once they left, the road was calling me. With headlight and reflective vest donned, I stepped into the night. Oops. Wind and rain. Oh well, it wasn’t cold so off I went. It was actually fun. Only one car swerved at the sight of a runner on a lonely road. The time was short but the mile and a half- priceless. This was a great day to romp through the woods with my team. It turned out to be a girl thing. The key was to run aggressively on their choice of gravel roads going down the mountain. Of course, what goes down has to go up. Fun time! We called it “O’dark 30.” It was our team’s code word for a dark run in the woods. Many had never been in the woods at night let alone run. But they embraced the idea and punctuated the event by wearing crazy loud knee socks with their tights. They were excited! As dusk descended, we started down the mountain. Headlights turned on one-by-one to show the way. It was constant chatter and a few screams as teammates hid behind trees only to scare the bezeebers out of those at the end of the line. About a half a mile from our end point, we gathered and turned off all the lights. I wanted to prove they didn’t need them. Though hesitant to believe me, they continued hiking up the mountain sans lights—and love it! At the top we gathered in a circle and took some time to pray together as a team. “Can we do this every Friday, Coach?” I guess they liked it! Help replace a water heater and fix a garage door opener. Clean and organize a garage. Scrub and organize a terribly neglected kitchen. . .and all the cupboards, stove, fridge, cupboards. Grocery shop and cook a meal. Serve the meal. Freeze left-overs for carefree future dinners. This is what happens when a weakened Grandpa comes home from the hospital and needs help. Exhausting but necessary- and sort of fun, actually. When I finally stepped out to run 9:15 pm, it was cold and raining. When I returned, I felt warm and pleased. A short run? Yes. But a run? Yep! Another day of bleaching, decontaminating, organizing, and cooking at my father-in-law’s house—after I cleaned out front flower beds in a steady rain. 86 year-old guys don’t seem particularly interested (or capable) of keeping a clean house. This time, I got supper in the oven in time for another soggy, cold rain. It’s funny. I actually looked forward to the conditions. It was oddly amusing to see motorists make incredulous faces at me as they passed. It was as if they were saying, “You is crazy, woman!” I liked that. It was not raining today. Yeah. Cold and damp but no rain. But after a four hour trip home from work-a-whirl couple of days at Gary’s dad’s place, I wished to curl up in a ball and nap. I didn’t. Rather, on went the running clothes so that I could register a short run: I figured my minimum standard of a single mile would do. But with legs feeling good, I added a few more miles to the short jaunt. Glad I did. It hardly makes sense to sweat for just a mile. Total – 4 road miles. We've all heard the stories. A pressure cooker, filled with a pot roast and vegetables, merrily whistles it's tune as the contents near a perfect degree of tenderness. Then, without warning, the pot malfunctions by blowing it's top, sending scalding steam, potatoes and carrots to new heights--ceiling heights. It's not a pretty sight. What went wrong? Everything seemed just fine before the kitchen turned into war zone only Mr. Clean would dare attempt to clean up. Well, let me put your minds at ease. There was not an explosion in my kitchen. But I am feeling somewhat like that pressure cooker. A few days ago I had confidence the locking lid was A-OK. But now, I feel steam escaping through the safety valve and wonder if the seal will hold. For someone who doesn't have a 9-5 job, I am amazed at how busy I am. I have over one hundred on-line high school students, another twenty-five on-line perfusion students and I coach everyday. Then, there's that book I am working on and the occasional home project. Research and plans for a raised bed garden are in the works as well. Not bad, huh? No kids at home to argue with over homework or curfew. But recently, things seem to be piling up. Speaking engagements that I've prayed for are coming at me like driving snow into a windshield; four in the next two weeks alone. A publishing contract arrived in my inbox that requires a big decision. A phone interview with a literary agent is scheduled; long anticipated but intimidating. My father-in-law has just been diagnosed with cancer and is in the hospital. Everything has changed for this once energetic and independent man. The prognosis for this 86-year old man is not yet realized. Weekend trips for us are becoming the norm, especially now that he is scheduled to be released to his home four hours from us. But the trips make it impossible for me to fulfill my duties as a coach. I know family comes first but still. . . Then, one son is still seeking much needed employment and another may move home while he embarks on building his own "tiny" home. That prospect excites me but the logistical details of even storing his stuff clutters my thoughts. A nice consulting job has landed in my lap but it will require about twenty hours in preparation. And time is short. I know all the pat answers. Trust God. Don't worry. So true. But how do I do that? The familiar Matthew 6:25-31 passage comes to mind. "“Therefore I tell you, do not worry about your life, what you will eat or drink; or about your body, what you will wear. Is not life more than food, and the body more than clothes? Look at the birds of the air; they do not sow or reap or store away in barns, and yet your heavenly Father feeds them. Are you not much more valuable than they? Can any one of you by worrying add a single hour to your life? 'And why do you worry about clothes? See how the flowers of the field grow. They do not labor or spin. Yet I tell you that not even Solomon in all his splendor was dressed like one of these. If that is how God clothes the grass of the field, which is here today and tomorrow is thrown into the fire, will he not much more clothe you—you of little faith? So do not worry, saying, ‘What shall we eat?’ or ‘What shall we drink?’ or ‘What shall we wear?’"
Comforting? Yes. The necessary action and perspective to be able to do that? Verse 35 tells us. "But seek first his kingdom and his righteousness, and all these things will be given to you as well." OK. So let me get this straight. If I seek God and righteousness I will never have another concern. Hum. Not exactly. God doesn't promise us trouble-free living. Trouble is what builds character. However, God promises to take care of our needs. But I read "Therefore do not worry about tomorrow, for tomorrow will worry about itself. Each day has enough trouble of its own." Uh-oh. So let's be practical. I pray. I trust. I do what pleases God. And then I make a list. Yep. A list. I find I deal better with many obligations when I have a list and a schedule. It helps me see in black and white what needs to be accomplished. It helps me prioritize responsibilities. It helps me plan my day. And when see all of this clearly, I am much less prone to allow the steam to blow the lid right off the pot. There’s nothing like a cold rain to make you want to curl up with a good book and forget about running. But I had practice with the kids and there was work to be done. The purpose was a decent recovery run since some were still a little tired from racing two days prior. Off we went for a campus tour and came back nearly seven miles later a little wetter and muddier. Puddles are just too much fun. It was more pleasant today but the last thing I wanted to do was make the kids do speed work on the track. But since speed is what we needed, we did a 1.5 warm-up to the intramural soccer fields and from there, divided into three teams. A variety of races (think suicides the length of soccer fields) had us all breathing hard. Then it was on to “train” runs (last person in line surges to the front) and our favorite 4-corner workout where we jog the outside of the square and do hard pick-ups across the diagonals. Then, it was back to the school. With a lot of laughter along with the sweat, it was much better than repeat 200s on the track. I did find out, however, that my 7-month knee annoyance really does not like to run fast or backwards. Ouch. My team suffered with me gimping along. The weather forecaster promised heavy rain and cold temps late in the afternoon. I figured if I was going to let the kids off the hook, I would need to run before practice. Starting off in drizzle and finishing in a 38 degree downpour, I got in a few miles. At practice we did 3 sets of our 12-stage circuit (30 sec all out effort) and rested the legs from track and road runs. The weather was the yummy crème filling between two not-so good cookies. The cold rain yesterday and the predicted cold gusts for tomorrow spurned me on to check out a new trail before practice. I never found it but ran a couple trail miles followed by several easy miles with my top runners. All-in-all, a pretty laid back day. The forecasters were right. It is 25 degrees colder than yesterday with 40 mph winds. I have to admit it. I didn’t want to take a single step outside only to get blown into the next country. So I was a big wimp. I put on my cloths and ran around our fields and blow-down strewn trails, somewhat protected from the wind. It was actually pleasant when the late afternoon sun warmed my face. Then is was off to be with my 1600m runners at the huge LU Invite. It was good to get in warm-up/cooldown miles with Abby, Jamie and Trey. Congrats to Abby who PRed and ran away with her heat in 5:44. Before watching hours of track competition, I decided to get in a few miles of trail in the crisp, cold morning. But this was not a normal run. I wanted to try my hand at running with hiking sticks, preparing for fourteen days on the AT this summer. It will take some getting used to but I was pleased with the help they provided on steep uphills. Now if I can just keep from tripping myself with those things! Whether a run is strong and fast or slow and problematic, a run that gets you to the end is still a good day. I joined about 35 other runners to tackle a loop at Holiday Lake. I had a few issues with something weird in my foot and a few trips to the woods. Still, there were periods that I ran well. Sure, I wasn’t very fast but I stayed out there and am glad I did. Ever combine business with pleasure? That's exactly what I did today. The stacked up pile of recycling and garbage could be ignored no long. Off to the dump I went. But just a mile down the road from the dump is the Bedford Country Falling Creek Park. I knew there was a disc golf course there. I had no idea the elaborate system of ten miles of running and biking trails within it's borders. To me, it was like finding hidden treasure. I explored for a good long while. The trails were a mix of groomed single track, mowed, wide paths through fields, and rocky and twisty trails through the woods. Apparently, an individual who loves mountain biking maintains them. I will certainly have to return to explore the trails I didn't run. NOTE: I am writing about my quest for a year-long running streak primarily to keep myself motivated. I kind of doubt anyone really cares if I run one mile or a hundred. Hence, I will simply post my running journal once a week. So, if you have any interest in my progress, check on either Saturday or Sunday to review the week's progress. Ruuning was the last thing I wanted to do. I spent 13 hours working the finish line at an indoor track meet. Standing the whole time, no breaks, no sitting, no food save a few pieces of fruit I had thought to add to my bag, made my back and legs ache. When the final runner crossed the line, we picked up trash and wrapped things up. I wanted to go home and eat. I'm so glad I deferred that action. I changed into my running clothes and stepped into the night. It was unseasonably mild and pleasant. I ran only 25 minutes but felt oddly smooth and efficient. The cares of the day vanished, allowing me to finally arrive at home content. Week one is now complete. Life got in the way today. What was supposed to be an afternoon free to hit the trails, an unexpected sub assignment, preparation for the big track meet tomorrow, and a social commitment tonight interrupted my plans. My run turned out to be short and not that sweet. But maybe it's a good thing. My legs felt tired and energy levels were low. Now just trying to figure out when I will run tomorrow since I will be at the track at 8 AM and lucky if I get home by 9:30 PM. At least something is better than nothing. Just days from a big meet, I knew I would have to actually act like a coach and time the track workout. So, I took to the roads early in the day and got in six windy miles. Once at practice, I ran the group mile+ warmup before watching the kids bravely tackle three sets of a 400m at 9/10 effort, 45 second rest, and following with all all-out 200m. (The focus was on pushing the lactate and anaerobic thresholds and boost their finishing kick.) I have to admit I was thankful time splits rather than push the envelope. One of the best things about coaching is being able to run with the kids. With a moderately hard workout on Monday and a very challenging track workout yesterday, we were all ready for some time in the woods. We are fortunate to have 30-40 miles of trails at our fingertips. The run was to be an easy aerobic run with focus on just enjoying the outdoors. And they did-assuming giggling, singing girls are any indication. Not sure the guys vocalized so much but I sure enjoyed the time out there. With an indoor track meet looming this weekend, it was my job to give the kids a workout to help them succeed. I was glad for an indoor practice (blustery and frigid outside) but knew this one would hurt. (I think it's important that I never ask the kids to do something I am not willing to do.) I arrived at the track early. I sometimes prefer to run the workout and suffer alone. This also frees me up to actually "coach" as the kids tackle the task. Second day not same as the first. With indoor track practice starting again after the holiday break, my run was the same as the kids' run. The cold wind chilled the bones but not the relentless chatter. After discussion of an interesting fun fact (every extra pound of body weight means a one second slowdown per mile), we headed out the door. It was to be a conversational 2-2.5 mile warm-up with the return trip run as a tempo. 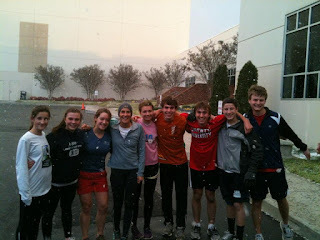 It was so good to see everyone again and be treated to the first (but short-lived) snowfall at the end of our run. There's nothing like a tempo run with high school kids to remind me of how slow I have become. Most run away from me. Ugh. I hope the increase in my running volume will eventually move the needle on the scale from the turtle side toward the rabbit side. I can only hope. It wasn’t much but it was something. Good thing something was enough. I have never been a streak runner. That’s not to say I haven’t been impressed, even amazed, by long-term running. I’ve always been a believer in rest days—and have needed them. But some time in the last twenty-four hours, I have this strange urge to take it on. On this first day of the year, I occupied myself with cleaning, purging and organizing while I kept one eye on the TV. “Radio” was on, an inspiring true story about James Robert Kennedy, a developmentally challenged young man. The caring football coach of Hanna High took Radio, as he was known given his passion for radios, under his wing. Perhaps it was metamorphosis, compassion, the pure joy of sport, the honest pursuit of purpose and perseverance that made me consider this task. I’ve been asked about my running goals for 2012. I’ve considered many things but none seemed quite right. Hence, I’ve had no answer. Until now. I’m in dire need of purpose. I yearn for something to keep me honest and moving in the right direction. My rule will be at least a mile a day. No excuses. No regrets. Will the world become new if I remain true? Hardly. In fact, few will care. But I care. I care to commit once again because I know it’s good for me. In 2008, I decided to journey my devotional thoughts every day of 2008. The reality became the hardest thing I have ever done. But it was also the most rewarding in terms of maturity, spiritual insight, and appreciation of each day’s gifts, challenges and difficulties. I suspect there will be major obstacles in my quest. I will be tired, there will be a cold, driving rain, I might be sick or injured, it could be scorching hot. But I also know I will have time to think, contemplate, pray. I know sometimes I will want to go blank. I know I will feel better in the end. I will feel accomplished. Even if I run a mere mile, I will have run. I will have won. So, it started this afternoon. Having run long in the mountains on a hurting knee yesterday, my run was a piddley mile and a half right as it was starting to blow and rain. In this Leap Year, I have only 365 days to go. Run silent. Run deep. Run long. Run strong. . .One day at a time. Stay tuned for daily blog postings. Needing to add a little flair over my large 4x8 dining room table and not wanting to spend a lot of money, I knew I had to be creative. Off to the craft store I went, armed with an open mind, a 40% off coupon, and few preconceived notions. What I ended up with is a simple piece that repeats the rectangular shape of the table, table runner, and various frames around the room. Step 2: Use a kitchen knife to cut out the rectangle. Even though the foam is fairly rigid, be careful when you are removing the middle section. Step 3: Decide on the placement of the votive candle. Trace around each one. Use a spoon to scoop out each hole for the votive candle holders. Make each hole about 3/4" inch deep and then use a votive pressed into each hole to create an even, level base. Step 4: (Sorry. No picture.) Use an awl (or anything skinny such as a knitting needle) to make a hole in each of the corners for the wire. Thread picture wire from the top through the tunnel you just made. Twist the wire onto a washer and then seat it into the foam. (The washer keeps the wire from pulling through) Take the loose end and do the same in the adjacent corner. Adjust the length according to your need. Repeat at the other end of the foam board. Be sure the finished lengths are equal. Step 5 (Optional): I chose to spray paint the foam board thinking the duck tape would stick better. I'm not sure if this is necessary. Step 6: Wrap the foam in black duck tape (or any color you like). Edge the foam board with the contrasting duck tape, in this case the leopard print. Step 7: Hang the foam by connecting the two wires with ribbon (or more wire, if desired). Even though the entire piece is very light (probably less than 4 pounds), use a toggle-style ceiling hook if you go through drywall.